Now is the time to fight for our coutnry! Welcome, recruit and grow our membership! So many women who voted for Trump and various other Conservative candidates are coming out and need to share their excitement! Thank you for attending the Christmas Luncheon. Let''s continue the fellowship monthly at Amici's when you join! 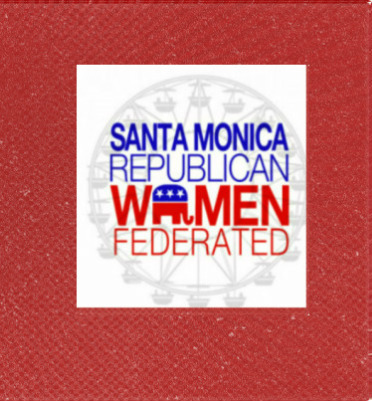 and The California Federation of Republican Women (http://www.cfrw.org/). The 2nd Wednesday of January thru June and September and October, we hold a luncheon meeting to hear a political speaker, meet local candidates, and discuss current events, elections and other topics of mutual interest. We currently meet at AMICI'S Restaurant at 26th and San Vicente. We also hold mixers the 3rd Tuesday of the month at the restaurant 1212 in Santa Monica. This gives members, spouses and friends an opportunity to get together and make new, like-minded friends. 1212 is located at 1212-3rd Street Promenade, at the top block near Wilshrie. We actively campaign for Republican candidates during both presidential and mid-term elections. Be wataching for an election headquarters for the 2018 fall elections. We participate in activities of our parent State and National organizations. We publish a Newsletter in the months that we have meetings. We have a members-only Facebook page wherein we post articles of interest and have lively discussions covering a broad range of mutually interesting topics. Please email SMRWF1@gmail.com to get connected.